I know this is the season of fall flavors. Often pumpkin and apple seem to get the top billing, but fresh pears are also in season and bursting with flavor. 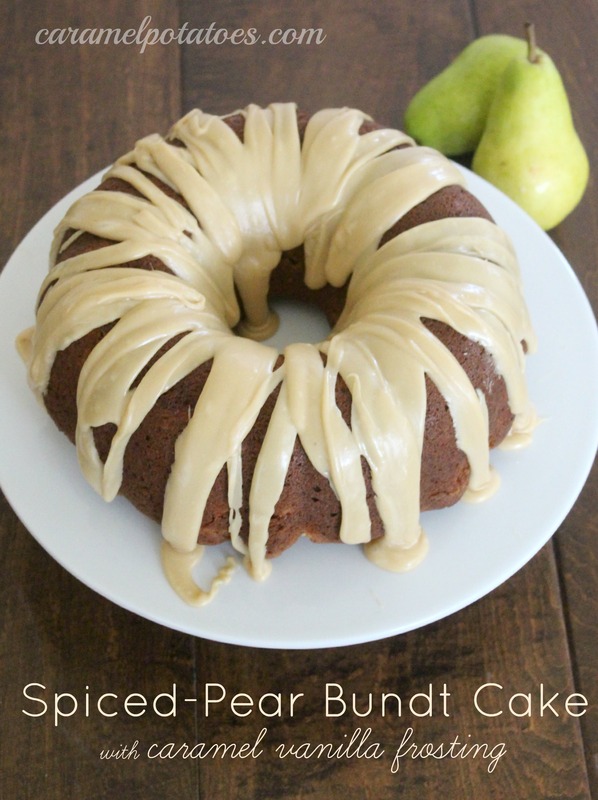 This Spiced Pear Bundt Cake is moist and so delicious- the Caramel Vanilla Frosting perfectly completes it. In fact, if you can wait to eat it, make it a day before you want to serve it – the pears make it even better on day two! Preheat oven to 325F. Spray a Bundt pan with a nonstick baking spray with flour. Set aside. In a large bowl, whisk together flour, sugar, soda, cinnamon, ginger, cardamom, and salt. Make a well in the center of the dry ingredients; add eggs, stirring to combine. Gradually stir in canola oil. Fold in pear, vanilla, and orange zest; continue stirring until well combined. Pour batter into prepared pan. Bake approximately 1 hour – 1 hour and 10 minutes, or until a toothpick comes out clean (don’t overbake). Let cake cool on wire rack for 15-20 minutes. Invert cake onto wire rack and cool completely. 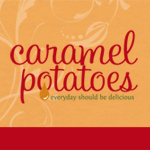 For the Caramel Vanilla Frosting: In a small saucepan, bring brown sugar, cream, butter, and vanilla to a boil over medium-high heat. Cook, whisking constantly for 1 minute. Remove from heat and let cool completely. Gradually whisk in powdered sugar. Drizzle frosting over cooled cake. Slice and serve. Sounds delicious and looks so pretty! Perfect for fall! this looks great and I just bought 2 half size pans tonight before I saw this!! I can’t wait to try it, but wanted to clarify. does the recipe really call for both of these? and do 3-4 pears really equal 1/2 cup diced AND the same number equal 1 1/2 cups grated??? Thanks Plano Cello Mom for catching my typo. The recipe has been corrected to read 1 1/2 grated and 1 1/2 diced. You’ll need about 6-8 total pears.